Railpictures.ca - Ryan Gaynor Photo: The Canadian glides by Sunnyside while a pair of GO trains race to Union Station. This was a nice welcome to my new home, Toronto! | Railpictures.ca – Canadian Railway Photography – photographie ferroviaire Canadienne. 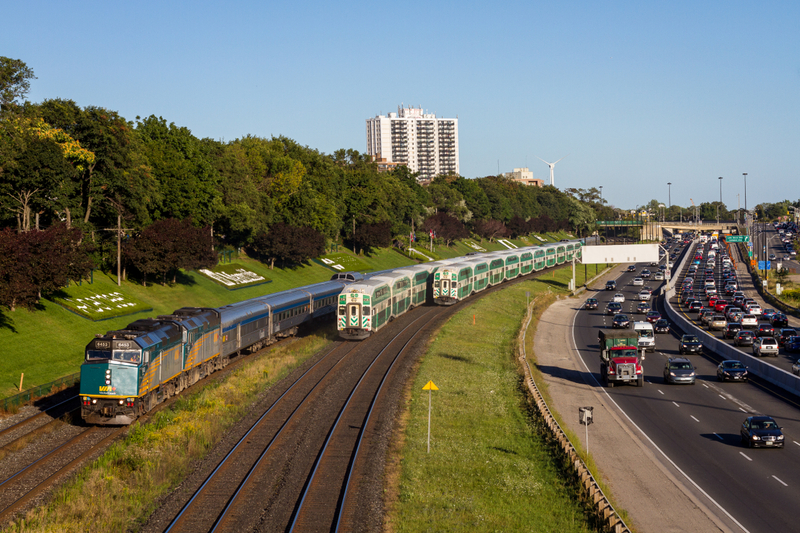 Caption: The Canadian glides by Sunnyside while a pair of GO trains race to Union Station. This was a nice welcome to my new home, Toronto! Nice timing and composition! The rush never fails to interest, even if its just a bunch of GO trains. So you’re in Toronto now? University I’m assuming? You’ll be impressed by the amount of train traffic, however CP will soon enough frustrate you. I honestly sometimes wonder if I’d be better off watching GO and VIA trains!